Meet Headband, Capt. Hastings and Goose (I don't know which is which). Here they are in Chris and Geoff's yard awaiting relocation. 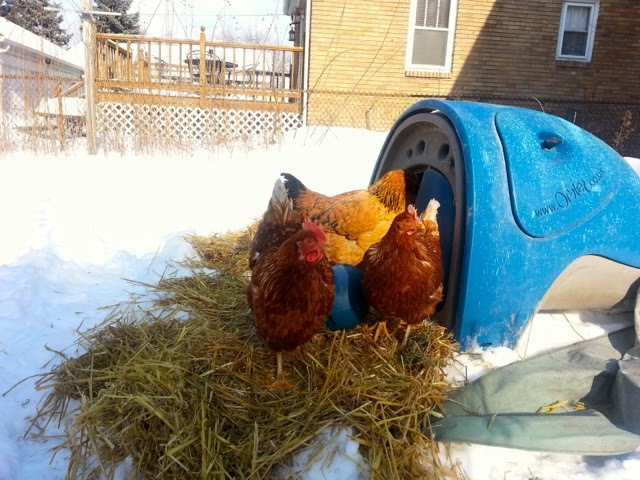 These are the three chickens I will be taking care of for the next six weeks while my neighbors across and down the street a few houses are away in their native Australia. 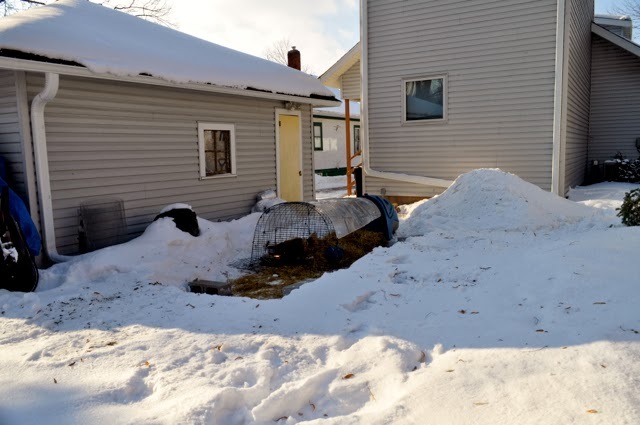 Chris and Geoff spent many hours yesterday melting and chipping ice to free the wire chicken run so we could move it into our backyard. Then Sunday afternoon the three of us paraded down the sidewalk and across the street with the coop, run and wagons of food. I wonder what the block thinks now? Following three educational and amusing hours with Twain Lockhart from Nutrena Feeds, I was both very excited and a little nervous about taking on the responsibility for three lifeforms. Yes, we have cats, but they live indoors, have a cat fountain with a large reservoir and a automatic feeder that delivers cable three times a day. What I'm saying, is I don't really have to think about it more than once a week. 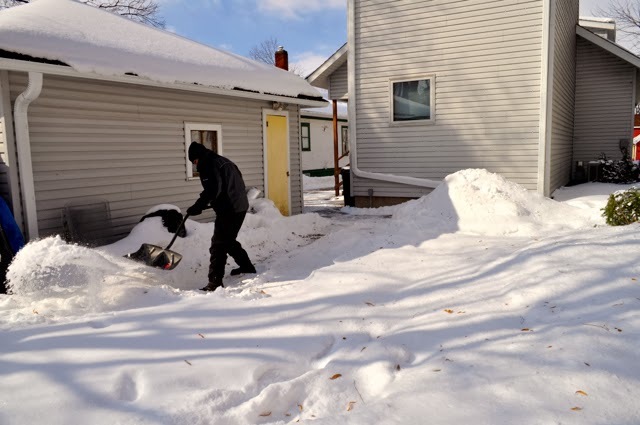 I had to clear out some snow for the coop and chicken run. 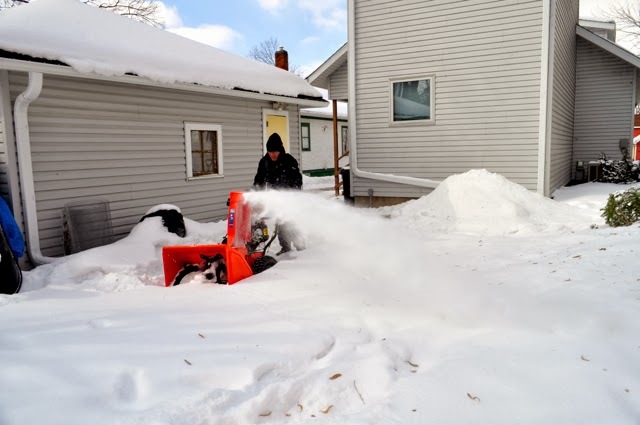 The snowblower wasn't able to get down along the bumpy grass, so I shoveled out as much as I could. 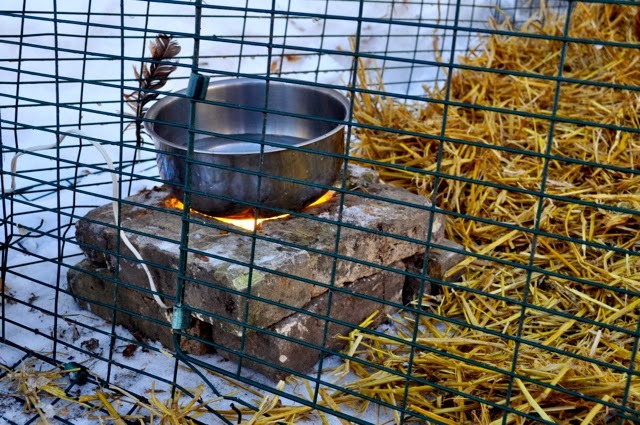 There is a plastic "igloo" at the far end of the wire run where they chickens sleep and nest to lay eggs. There is a clear plastic cover over the run to keep out snow and rain. 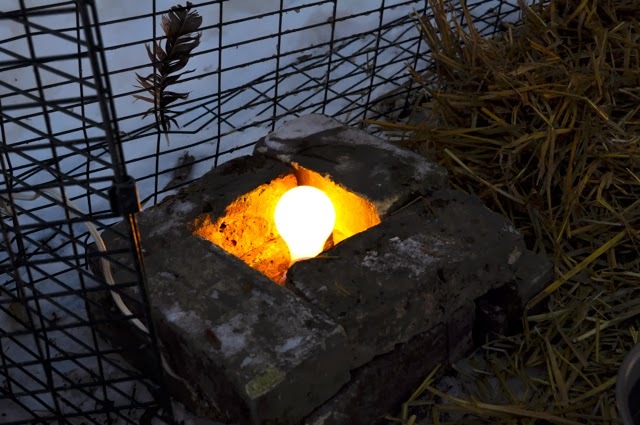 My first experiment in keeping the water from freezing; a square of bricks around a 100-watt lightbulb. Put a metal bowl over the bulb. If this doesn't work, I'll use Chris' method of watering them twice a day. 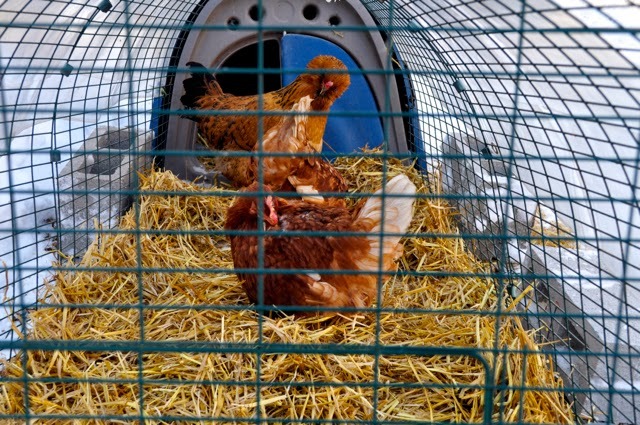 The three chickens in their new location. I can see that photographing similarly colored birds isn't very easy when they are near one another.